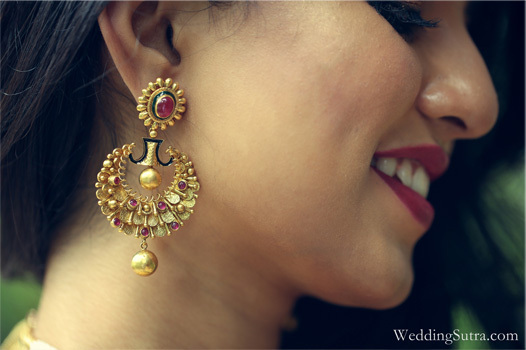 Vibrant gold in contemporary style adorned the bride to be, as Trishala Shinde was all decked up by Wedding Sutra for her pre wedding on location shoot. 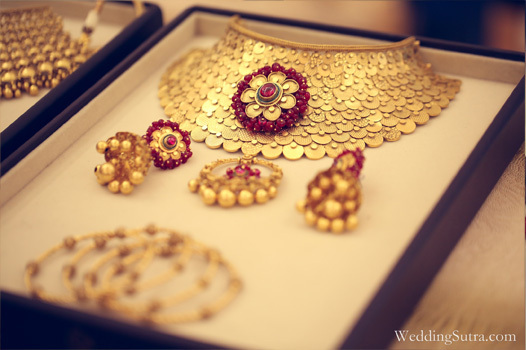 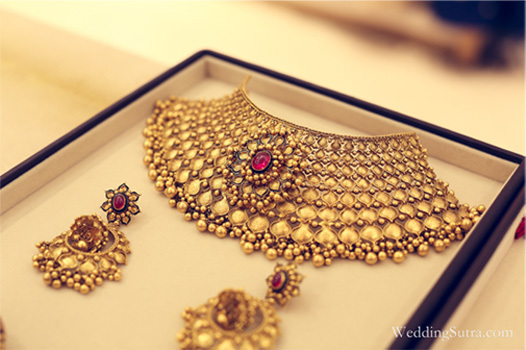 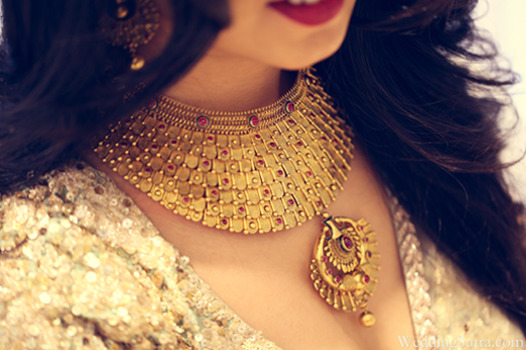 The show stopper sitting pretty on her neck complimented her with vibrant red stones and seven layers of geometric motifs. 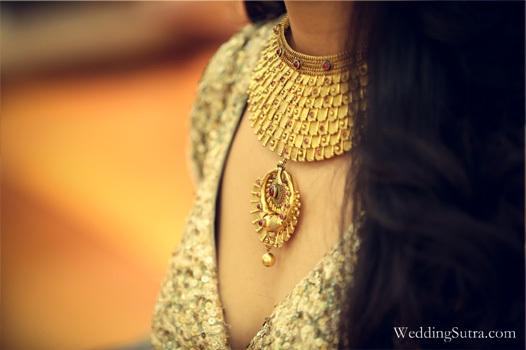 A breathtaking Azva creation, the pendant is complete with concentric patterns and seven stones symbolising the seven vows of marriage. 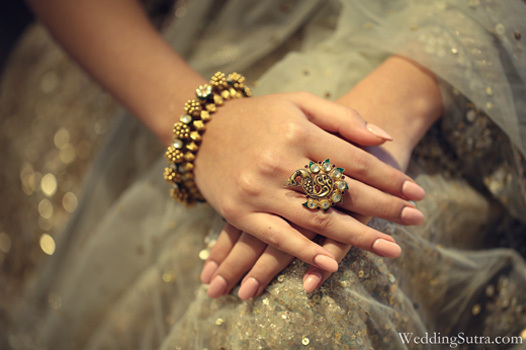 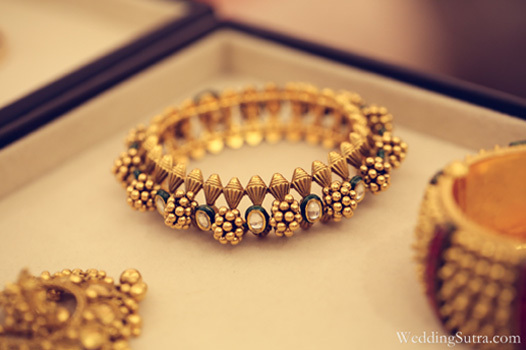 Beautiful chandelier earrings and a bangle with granulation in gold and rich green enamel, finished the look, while a peacock statement ring added a touch of glamour to her fingers.